If you are in the US, you are probably planning your 4th of July party, or trying to figure out what to bring to someone else’s. If you’re not in the US, these recipes are still perfect for camping, cookouts, and summer parties – so you can enjoy them too. 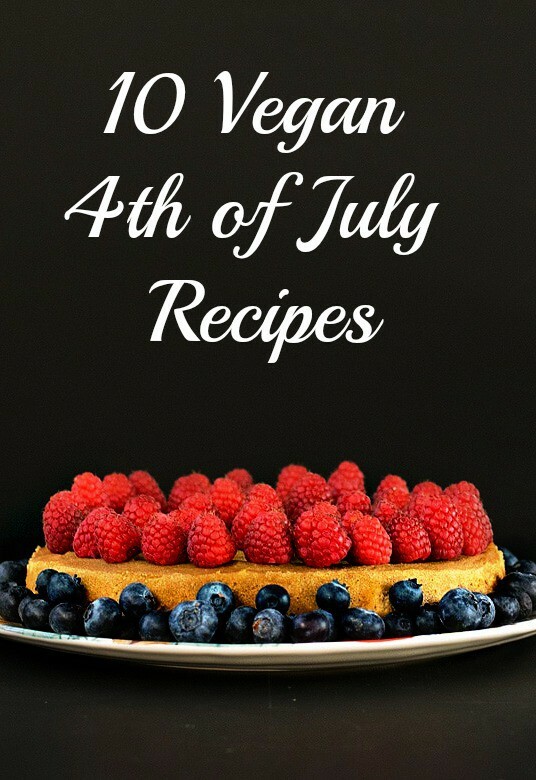 I have my favorite vegan queso recipes, a couple of veggie burgers, carrot dogs, and a few surprises, including desserts. Be sure to link to some of your favorite summer party recipes in the comments. I want to see what you’re making too! 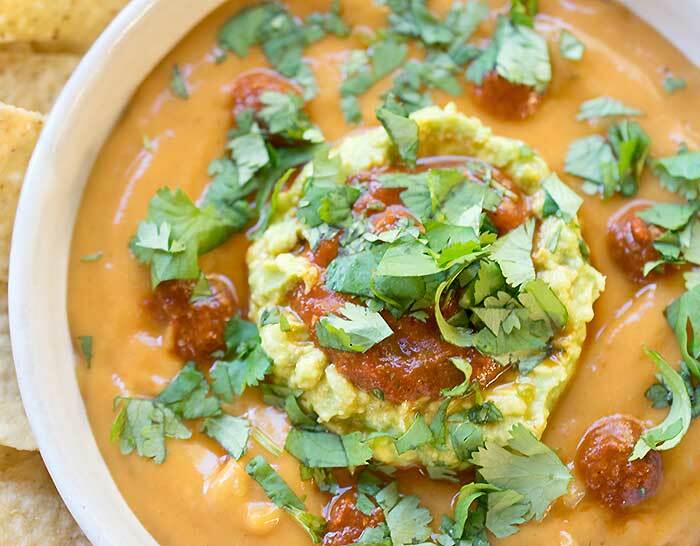 My Vegan Torchy’s Queso Copycat is made with a secret ingredient – potato! Plus it has a simple to make homemade rojo sauce that will amaze your family and friends. The consistency is just like dairy cheese dip . Make these Super Easy Avocado Chili Bean Veggie Burgers a day in advance and all you have to do is heat them up. You can also freeze any leftovers in buns for a grab and go lunch later on. 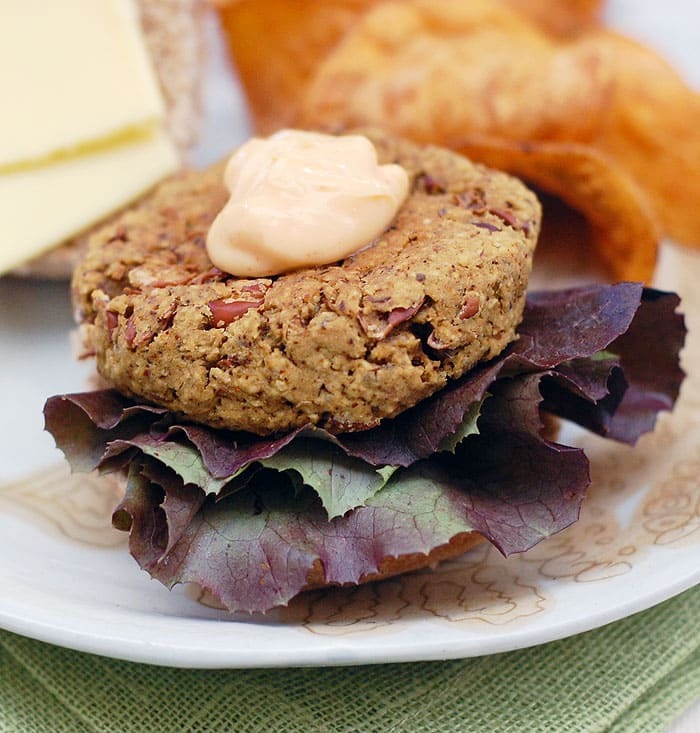 Looking for a more realistic looking veggie burger? 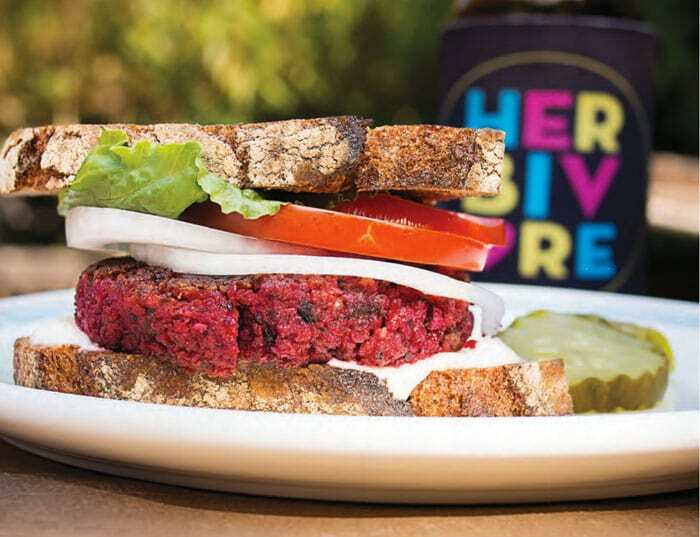 These Roasted Beet Burgers from Eat Like You Give a Damn are healthy, easy, delicious and perfect to give to your guests vegans and meat eaters alike! Carrot dogs are the answer to a busy holiday cookout. Yes, your read that right, these dogs are plant-based magic and are made from carrots. Wake up, cook the carrots and marinade them. That way they are ready to cook when your guests arrive. Fancy them up with some Asian Broccoli Slaw. 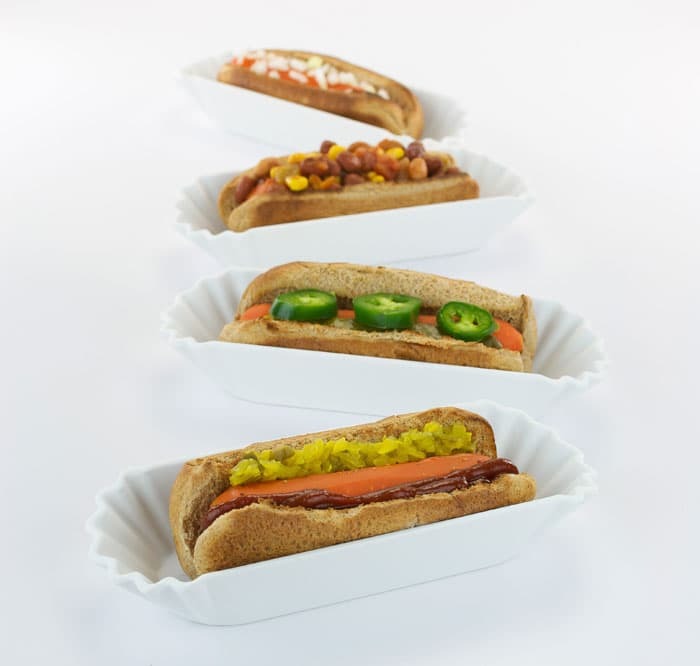 You can also make them into my favorite dog by topping with vegan chili, vegan slaw, mustard and onions. Can’t stomach the thought of another veggie burger at a cookout? 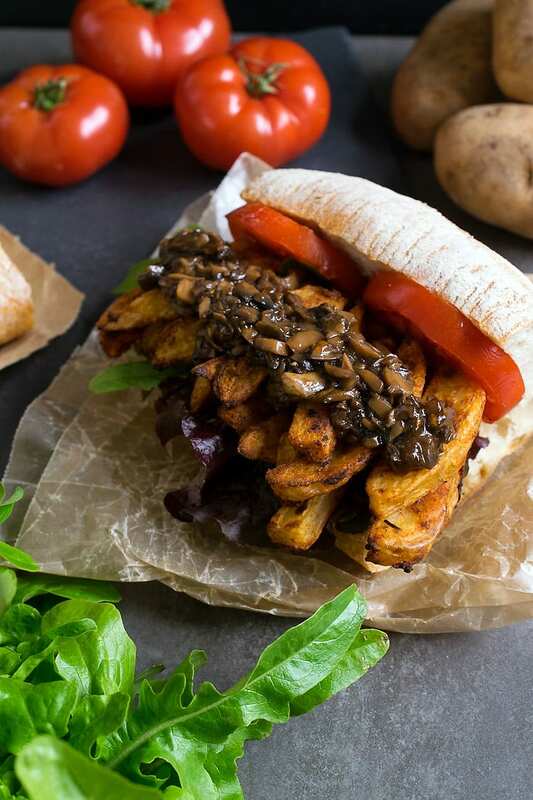 My Cajun Potato Vegan Po’ Boy with Mushroom Gravy is perfect for a change of pace. You could make a loose mushroom gravy and keep it warm in a small slow cooker and heat up the pre-baked fries in your oven, air fryer, or on the grill! 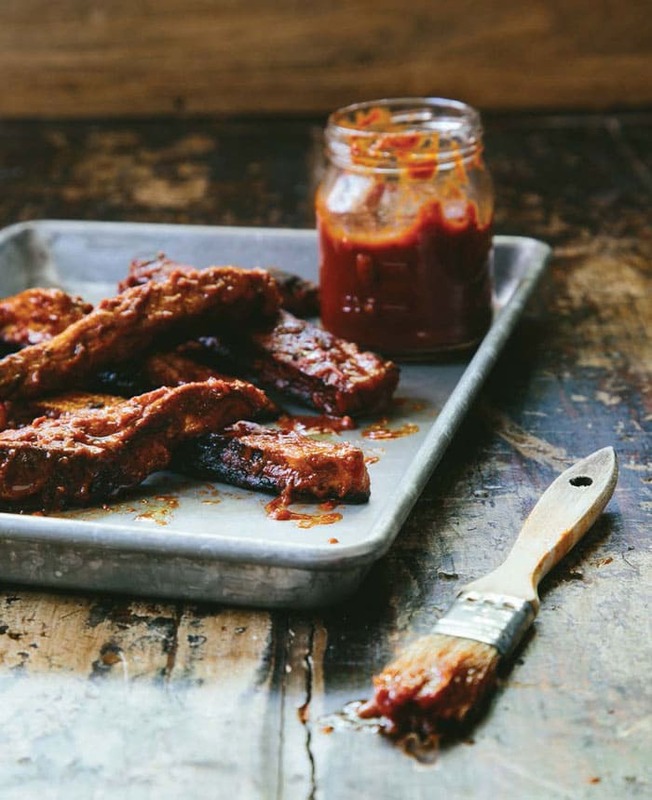 These Unribs from The Homemade Vegan Pantry by Miyoko Schinner will wow you and your guests. You’ll even have extra to freeze for another quick meal. These take some time, so plan ahead, but they are so worth it. 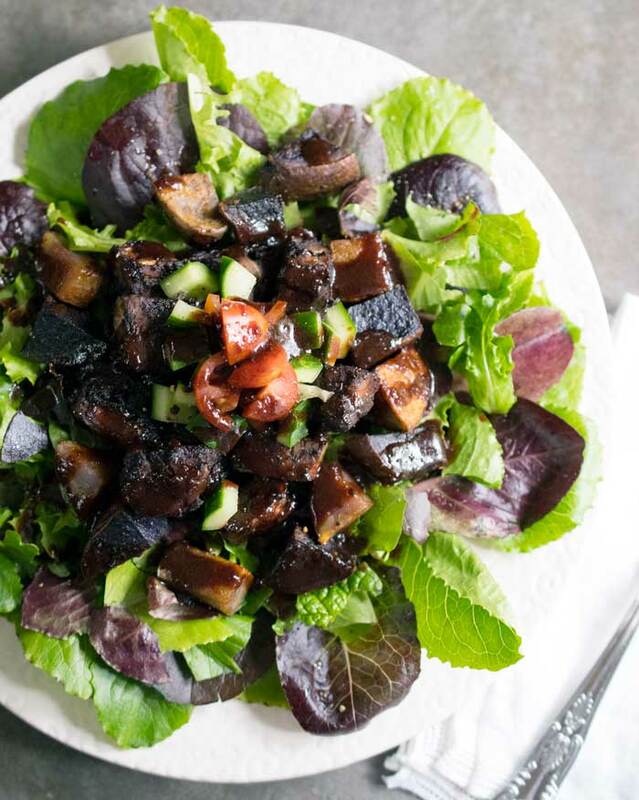 Treat your guests to a delicious lunch with this decadent Blueberry Whiskey BBQ Salad with Tempeh and Roasted Potatoes. You will need to make the homemade dressing ahead of time and cook the potatoes and tempeh too. 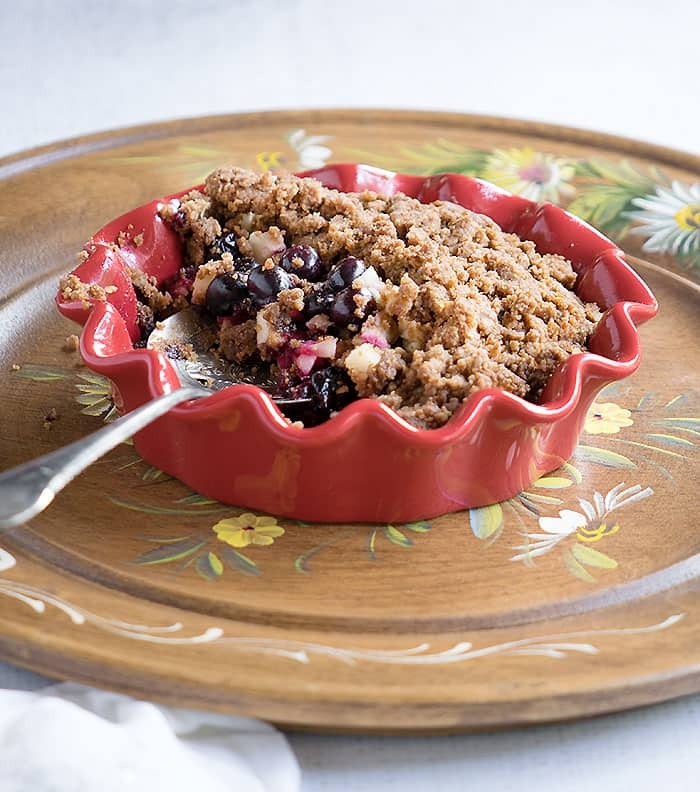 It’s always time for a fruit crumble, and with this Vegan Air Fryer Blueberry Apple Crumble from The Vegan Air Fryer, you’ll love adding in fresh berries all summer long. 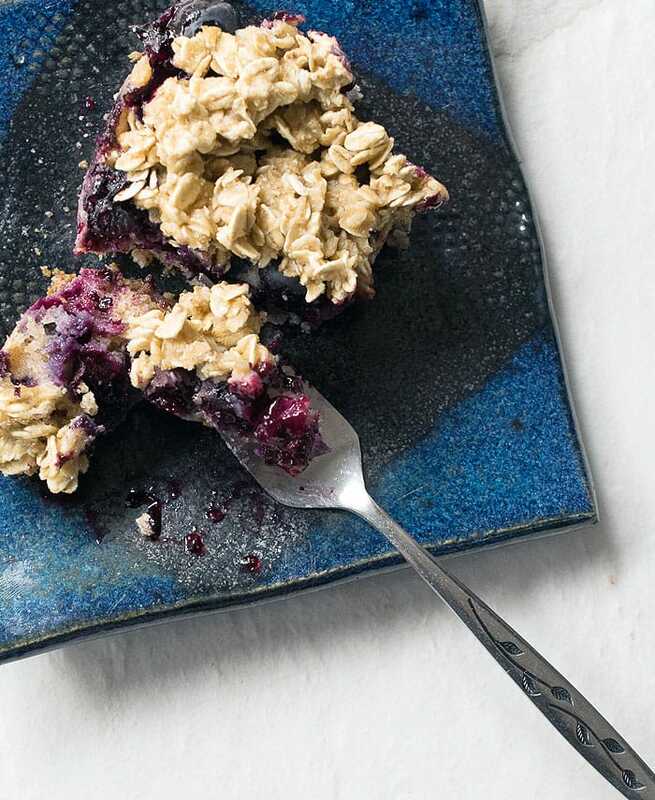 Or make my Vegan Blueberry Buckle with No Oil Added which can be made with the fresh blueberries sitting in your fridge. It will work with any berry or even peaches! is perfect for the 4th. Decorate it like I did with raspberries and blueberries to give it a patriotic look. 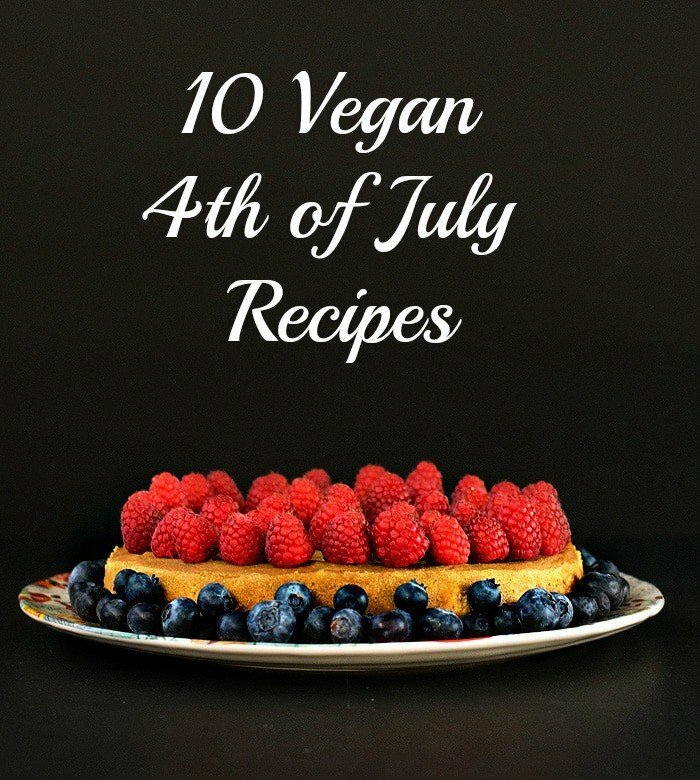 Let me know in the comments what your favorite 4th recipes are. We can all use more ideas! 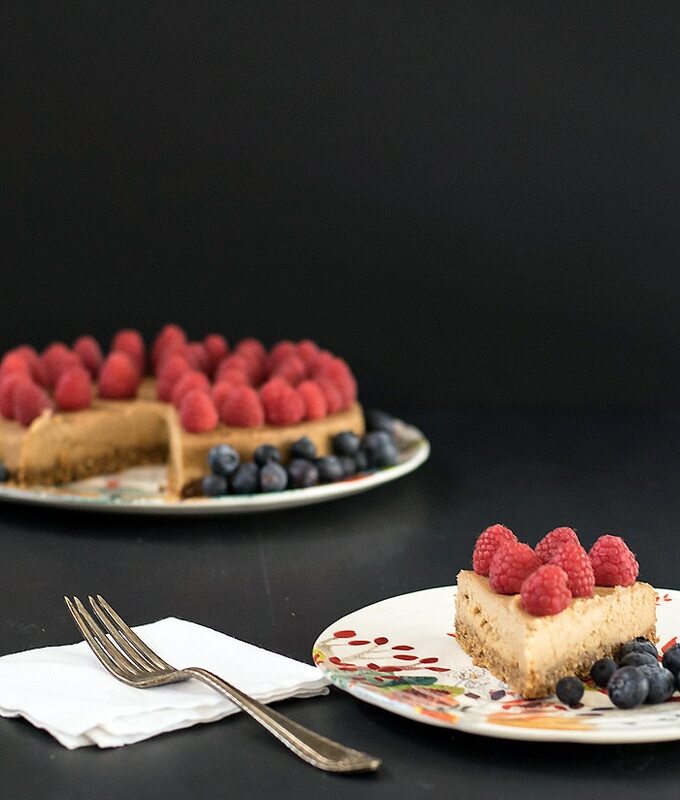 « Vegan Summer Make-Ahead Menu Plan – 8 Easy Recipes that You Eat Straight From Your Fridge!